Who provides cost-effective car insurance for military base residents? 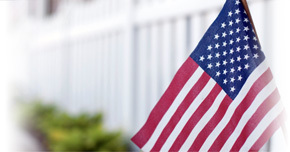 Direct Auto & Life Insurance is proud to support our military with insurance designed for service members. With low-priced rates and a variety of flexible payment options,* Direct Auto is a great insurance choice for many service members who want superior service and the right coverage. Let's go behind the scenes to understand more about how Direct Auto finds Rogers military personnel the right car insurance coverage. Direct Auto realizes that Armed Forces members in Rogers have a variety of choices when looking to purchase car insurance. But with Direct Auto, you'll be receiving a plan built to fit your needs and our team will offer insight into the insurance fundamentals like collision coverage and medical payments auto coverage. That's why we provide digital resources like the Coverage Assistant. By working with the Coverage Assistant, you can get a better idea of what insurance fits your needs and your budget, without breaking the bank on coverage. The Direct Auto team strives to be straightforward from start to finish, going above and beyond to offer full details on what your plan covers. From Bodily Liability Coverage to Rental Reimbursement, to Rental Reimbursement, we want to make sure our military car insurance policyholders understand how their plan works for them. What's more, we know that Direct Auto customer are often on-the-go, which is why we designed the DirectDrive app.† The DirectDrive app allows customers to log trips and track their driving behaviors, which could earn them rewards for safe driving. DirectDrive even lets customers pay their auto insurance bill on their phone. By making just a few clicks, you'll be able to take care of your Direct Auto payments, get up-to-the-minute driving assessments, and play alongside other DirectDrive app users without having to take a break from your busy day. Interested iPhone or Android users will find the DirectDrive app for free through the app store. Ready to see where your military car insurance from Direct Auto in Rogers will take you? Speak with one of our friendly representatives at 1-877-GO-DIRECT or apply online to get started with your new auto insurance coverage today.